What is the first thing a new Kindle owner does? Right! The dance of joy. Okay, but the next thing? As for me, it was the diving into the ocean of Amazon’s free classics I always wanted to read, but did not have the patience to. Now – guess what, when I’m stuck on an airplane, frankly, I have no escape. Also, getting free classics from Amazon, with their 1-Click feature, is the most convenient way for me to upload the books on Kindle. Great Expectations – one day I’ll read it, maybe, and I’m not ashamed to admit that I haven’t read it yet. Click. 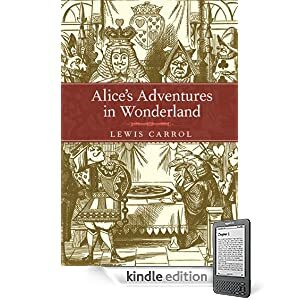 Well, Alice’s Adventures in Wonderland is my sacred text I always have on my bedside. Click. 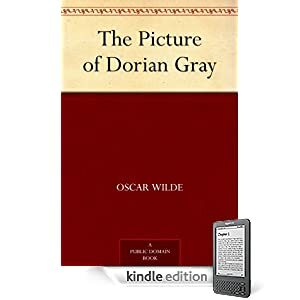 The Picture of Dorian Gray – to have it in my pocket always available for re-reading. Upload. The Sayings Of Confucius – to impress one professor I know. Click. The Prince – for the same purposes as the book mentioned above. Click. However, remember that with free cheese there is always a catch. According to Amazon’s reviewers, some of these books are sloppily edited (missing certain passages and such), which completely ruins the experience if you are trying to savor one of your most favorite books. On the other hand, if you want to get familiar with some works for the general education purposes and you are not planning on conducting an in-depth analysis of this or that character, then perhaps the imperfect, but free editions will suffice for you. Also, Amazon has a page with limited time offers for certain e-books. Some e-books are listed for a nominal price, some are cheaper than usually, and some are free. This entry was posted in Amazon, E-Books, Free Kindle Books, Free Kindle E-Book via Whispernet and tagged Amazon, Free Kindle E-Book, Kindle by Sofiya Melnykova. Bookmark the permalink.